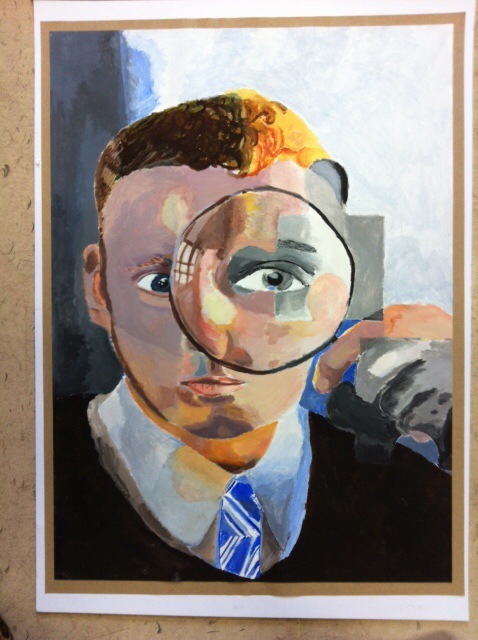 Another fabulous painting from Chantelle McIntyre. 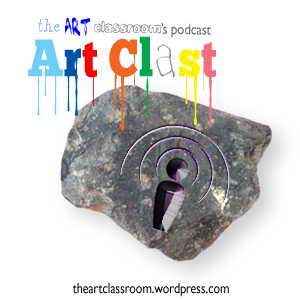 We are slowly making our way toward an exhibition to show these beautiful images off. Chantelle has only been working with oils for about a year, but you can see that she’s obviously got an knack for it. 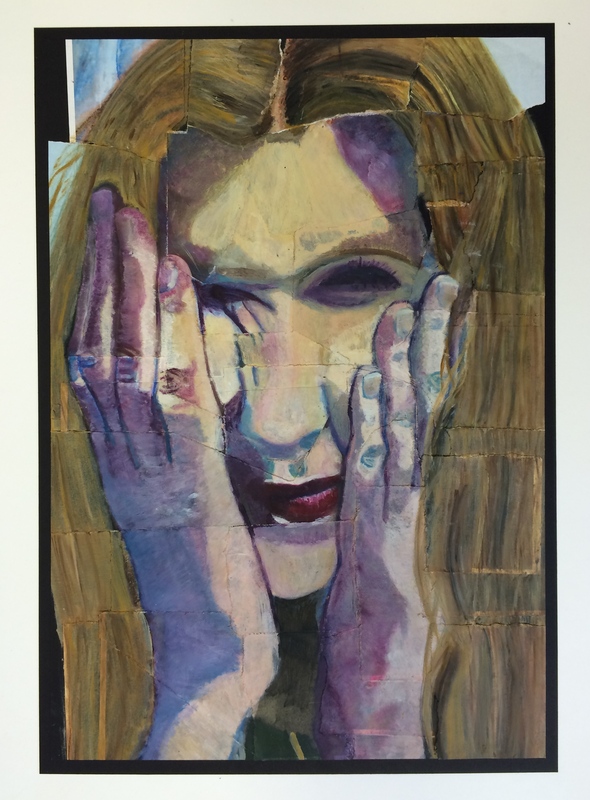 Her resource images are explored and manipulated in Photoshop to create the right composition, this is then painted on layered, textured paper to create a textured, mature, vibrant and thought provoking painting. 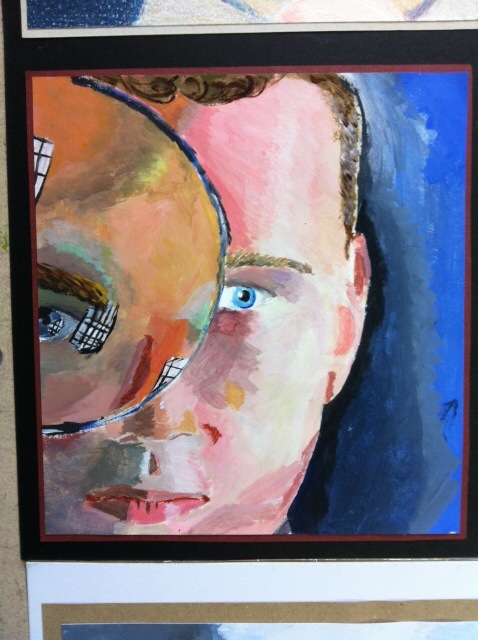 Just look at the quality of paint of the mouth and the eyes; it’s stunning. 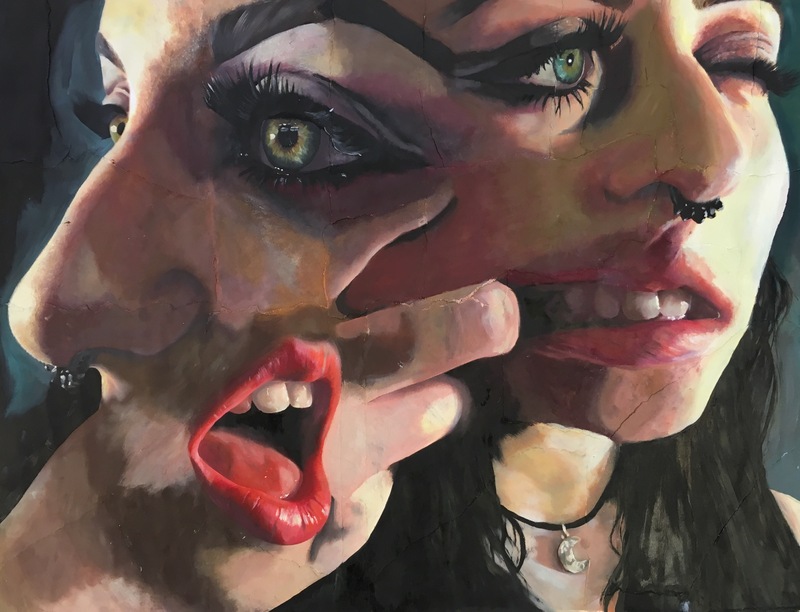 This oil painting by Chantelle McIntyre (S6) was created by photoshopping images of her and doll faces together, the image is then printed out over a series of A4 pages which are then ripped into pieces and glued onto larger card to create a textured image. Chantelle then painted over the top of the print outs which sounds like a cheat, but it’s incredibly difficult to colour match and avoid making mistakes. It really just cuts out the time wasted on scaling up and drawing out. 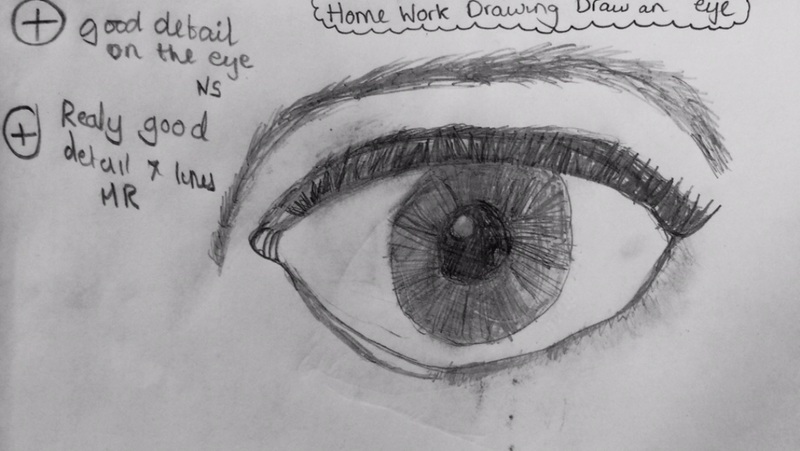 What better way to start my new fresh faced blog than to focus on a great artistic pupil who I have been working with for the past year. 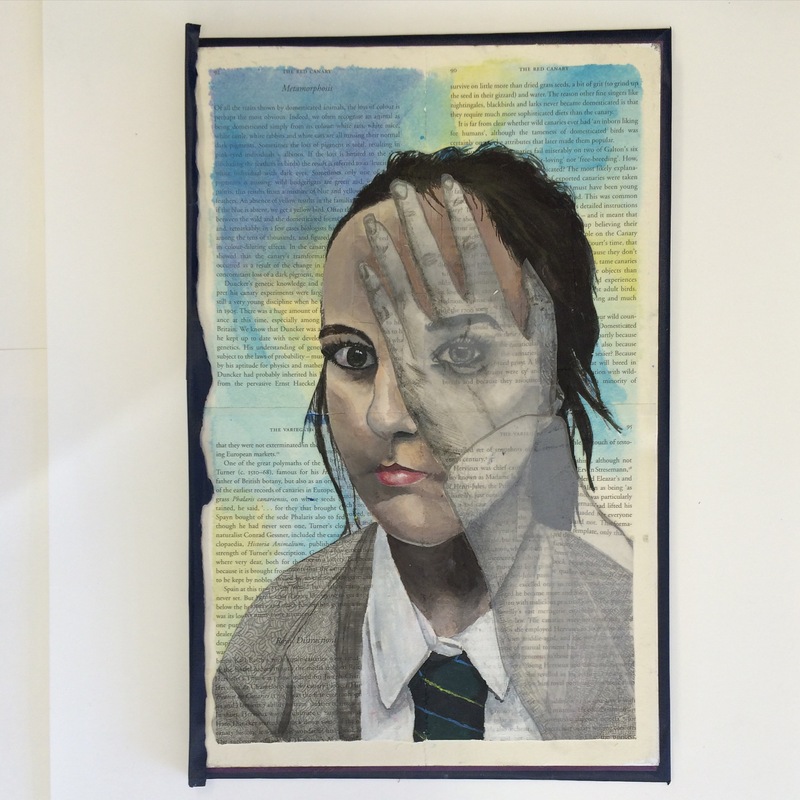 Chantelle M (S5, OLSP) is an amazing artist on every level; driven, full of emotion and substance, observant and taking everything in – like a human sponge. 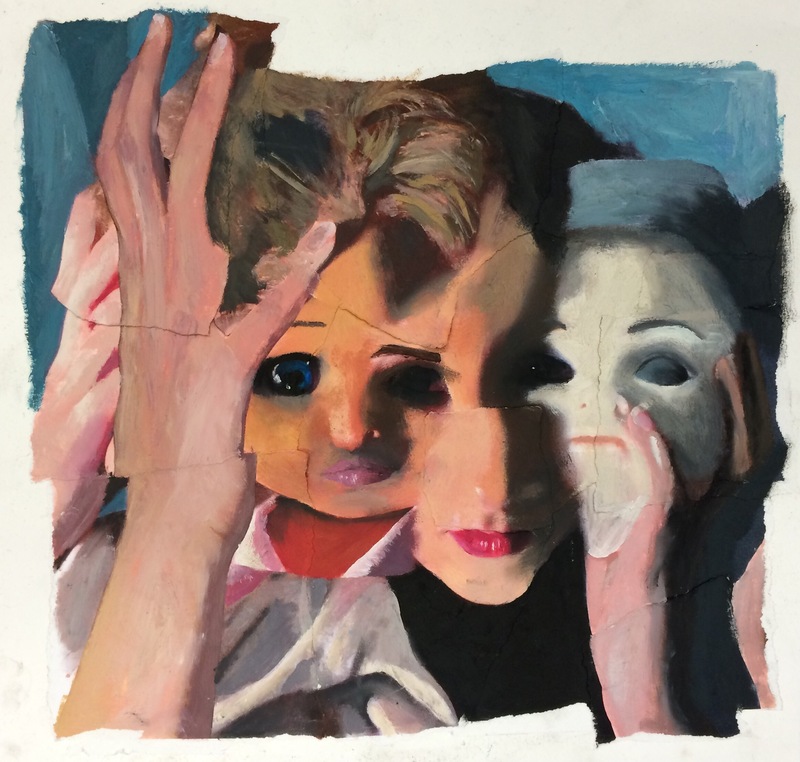 For her Higher Expressive Unit this year she focused on self portraiture and explored the idea of morphing faces, emotions and body parts fading in and out of consciousness. Her final piece (above) looked at the idea of what exists and doesn’t, is the subject fading from view or is she trying to obscure herself from us, but remains in sight. It is an enigmatic and thought provoking image. Chantelle M received great praise when her unit was first verified at the start of the year and should do well when the results come back tomorrow morning. 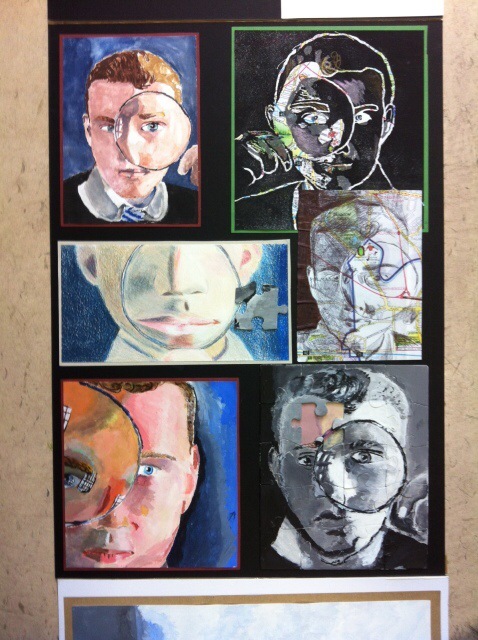 The final piece (a collage of book paper, tracing paper and mixed media including acrylic paint, pencil, charcoal) also won a local competition to design a school library card.